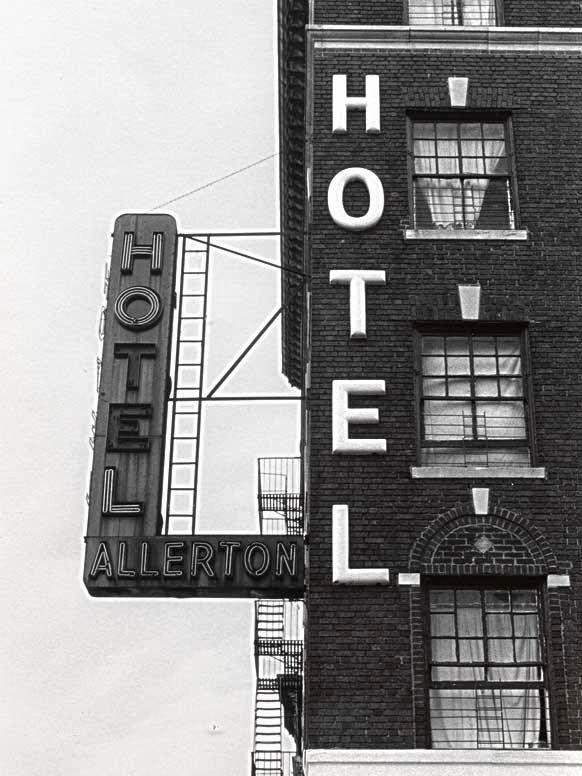 The Allerton's big neon sign, a relic of the bohemian fringe if ever an old sign was, retained its place over Eighth Avenue in Chelsea well past its time. That such a genuine remnant of urban grit could survive so unabashedly in Carrie Bradshaw's New York seemed unbelievable, which in an odd way is partly why I never paid much attention to the Allerton. The hotel finally closed in 2007, and I am still utterly displeased with myself for not having photographed that old sign, which seemed just too real to be real in 21st century New York. But the Allerton was indeed the real thing, as an excerpt from Patti Smith's book Just Kids and newspaper headlines from its last years attest. 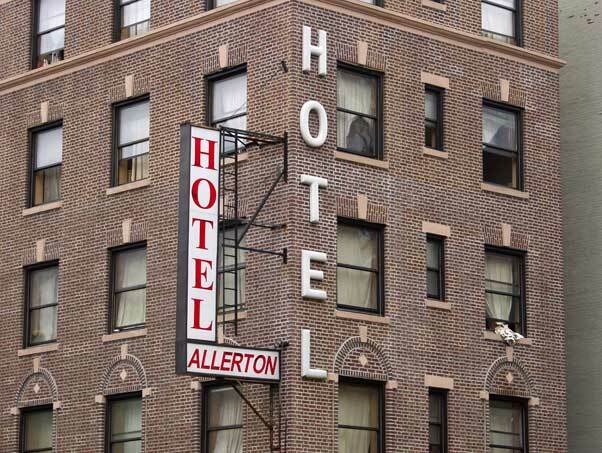 "Chelsea residents have tried to stop the noise, crime, drugs and harassment they say come from tenants at the Allerton Hotel," wrote David Kirby for the New York Times after a murder took place there behind the flickering neon in 1998. "The victim . . . and the other man checked into a room at the Allerton Hotel at 3:10 a.m. Monday," reported the Daily News of that particular incident. The pair had apparently met at the legendary Limelight disco on Sixth Avenue earlier that night. "Cops believe they went to the hotel for a sexual liaison . . . They were there for less than 20 minutes when a loud argument broke out." One man was stabbed in the chest and abdomen; the other disappeared down West 22nd Street into the night. These days marked the lowest point in our life together. I don't remember how we found our way to the Allerton. It was a terrible place, dark and neglected, with dusty windows that overlooked the noisy street. . . . The springs of the ancient mattress poked through the stained sheet. The place reeked of piss and exterminator fluid, the wallpaper peeling like dead skin in summer. There was no running water in the corroded sink, only occasional rusted droplets plopping through the night . . . . The place was filled with derelicts and junkies. I was no stranger to cheap hotels. . . . There was nothing romantic about this place, seeing half-naked guys trying to find a vein in limbs infested with sores. Everybody's door was open because it was so hot, and I had to avert my eyes as I shuttled to and from the bathroom to rinse out cloths for Robert's forehead. . . . His lumpy pillow was crawling with lice and they mingled with his damp matted curls. He told me the stories of some of his neighbors, room by room, and what they had sacrificed for alcohol and drugs. Never had I seen so much collective misery and lost hope, forlorn souls who had fouled their lives. 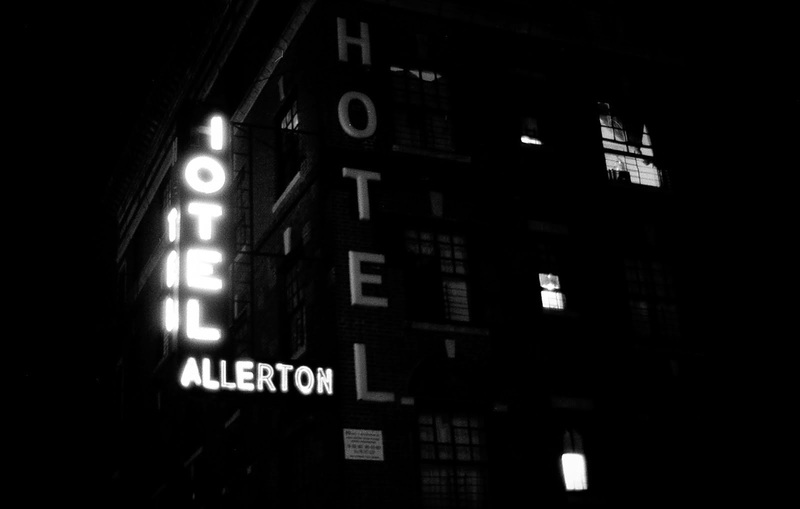 The horrors of the Allerton drove Smith and Mapplethorpe to seek refuge at another neon-crested hotel around the corner - the Chelsea Hotel - where things took a turn for the better. The Allerton had opened its doors in a very different era, back in 1912. Its origins are traced by historian Walter Grutchfield at his superb web site 14to42.net. Grutchfield relates that this was actually the first in what grew to become a chain of at least five hotels by the 1920s, run by one James S. Cushman, a member of the Society of Mayflower Descendants, who named the enterprise for a Mayflower ancestor called Mary Allerton. Architectural historian Christopher Gray tells us that in their day, the hotels offered "club-type lounges, gyms and laundries" intended to serve a clientele of white collar workers, "but by the 1930s, the Allerton corporation faltered, and the buildings were converted to conventional hotels." By the late '90s, the 22nd Street Allerton had become a make-shift shelter for the city's Department of Homeless Services. Its crumbling neon sign made way for a nondescript replacement around 2003. The beleaguered old hotel finally succumbed a few years later, by then starkly out of place in a city that seemed hellbent on shaking off all traces of its wayward past with the fervor of a born-again zealot. The building was subsequently gut-renovated and reopened as the Gem Hotel, a boutique hostelry whose rooms offer "down pillows, free WiFi, flat screen TVs, coffee makers and free bottled water." 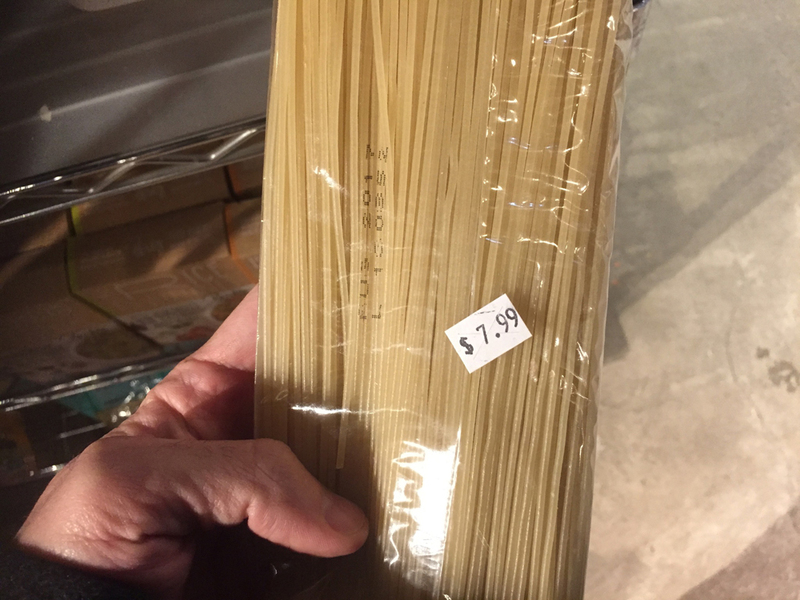 Foragers Market, a "gourmet grocery store" on the ground floor, sells 45-gram packs of spaghetti for $7.99. Walter Grutchfield notes that a remnant of the Allerton's old signage remains in place on the facade. One wonders if that old neon sign, had it survived just a few years longer, might have been kept around as a nostalgic gesture to bygone grime, now just a flickering memory. • If you haven't gotten to it yet, Just Kids is a must-read. • Jeremiah's Vanishing New York visits the Allerton, here and here. • Walter Grutchfield on the Allerton's origins. • Gregoire Alessandrini's photographic timeport back to New York in the '90s. • A fantastic field guide to other backdrops from Just Kids by Alison K. Armstrong and Fiona Webster. What a fascinating history and it is amazing the remnant of the neon sign is still there. I remember the Limelight and seeing that neon sign years ago. I had not idea what was really going on behind it all.